On the job injuries do occur. Under California workers compensation laws, the employer must pay for all medical treatment associated with an on the job injury regardless of whether the employee was negligent in causing the work injury. In the California workers compensation system, employers are not entitled to discounts if the employee who suffered an on the job injury was negligent. Employers are responsible for all medical treatment associated with on the job injuries, specific benefits under the workers compensation system to compensate the employee for periods they cannot work due to an on the job injury, and specific monetary benefits to compensate for any ratings of permanent disability. A lawyer is needed to navigate the injured employee through the workers compensation and to fight for the employee to make sure they receive proper compensation for an on the job injury. It is important that injured workers obtain qualified workers compensation attorneys as soon as they suffer an on the job injury. Injured workers whom have workers compensation lawyers may obtain procedural advantages over the employer who is slow to respond. It also may be possible to get away from the medical providers employers provide in the event of work related injuries if you have a work injury lawyer representing you. Ultimately, a qualified workers compensation lawyer will make the difference in whether you are properly evaluated when it comes time for what is called a permanent disability rating. Due to years of backlash and political funding by business, the workers compensation system is designed to screw the employee. Without proper legal representation by a real workers compensation lawyer, an employee who suffers an on the job injury will be screwed. 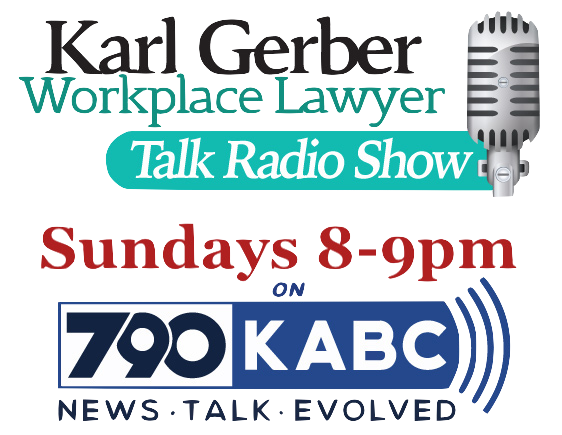 Workers compensation lawyers are not legally able to charge 1/3, 25%, or 40% for representation before the workers compensation board which is the judicial forum for California workers compensation cases. The fees for applicant attorneys (the attorneys who represent the employee) are around 15%, sometimes less. The fee is paid by the employer’s insurance carrier. By not hiring a workers compensation lawyer, chances are the employee’s claim will be delayed and receive far less compensation than is fair. Employees who care about their body, health, and career hire competent legal counsel when they have been involved in a work related injury. Intelligent workers do not seek out representation by workers compensation mills run by legal assistants, or attempt to handle their own workers compensation claims. If you were involved in an on the job injury, contact our firm. This year we have assisted workers in new workers compensation cases whom suffered from the following on the job injuries: back injuries, carpal tunnel, hip injuries, neck injuries, nerve damage, post traumatic stress disorder as a result of sexual harassment CLICK HERE FOR MORE INFORMATION ON SEXUAL HARASSMENT, respiratory disorders caused by work, and work stress. We handle cases in Los Angeles County, Orange County, Riverside County, San Bernardino County, Ventura County, and Kern County.